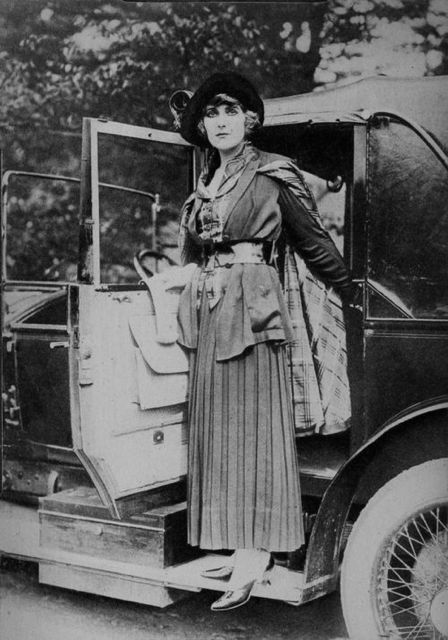 Pearl White, the hugely popular star of cliff-hanger serials, poses with her, no doubt, chauffeur-driven limousine, 1918. 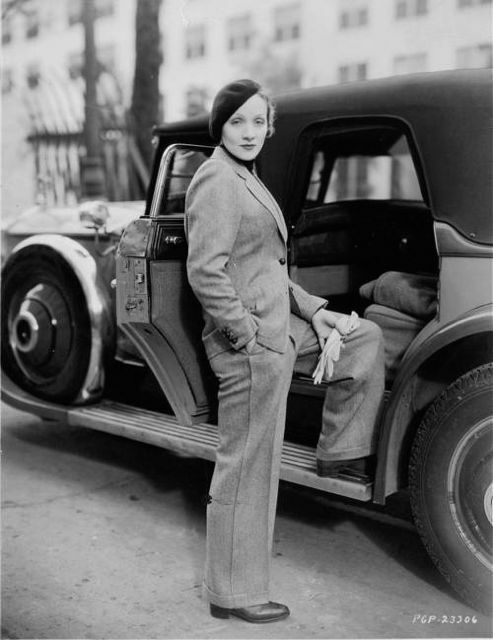 Marlene Dietrich with her Phantom Rolls Royce sedan, given to her by Paramount when she moved to the U.S. from Germany in 1930. No idea what make of car this is. But , hey, any excuse to post a picture of Jean Harlow. 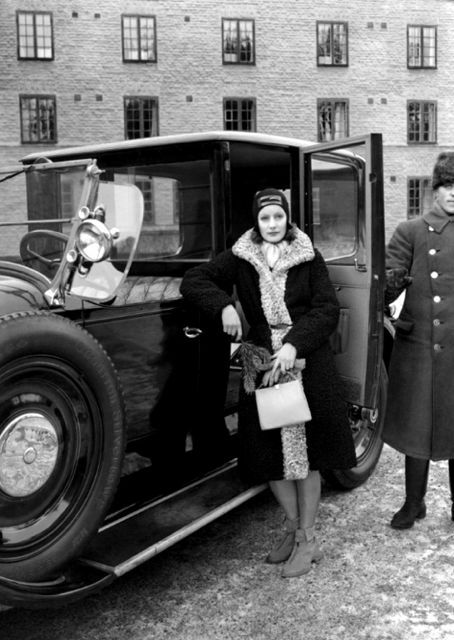 When Garbo returned to her native Sweden to visit family and friends, she traveled in style. 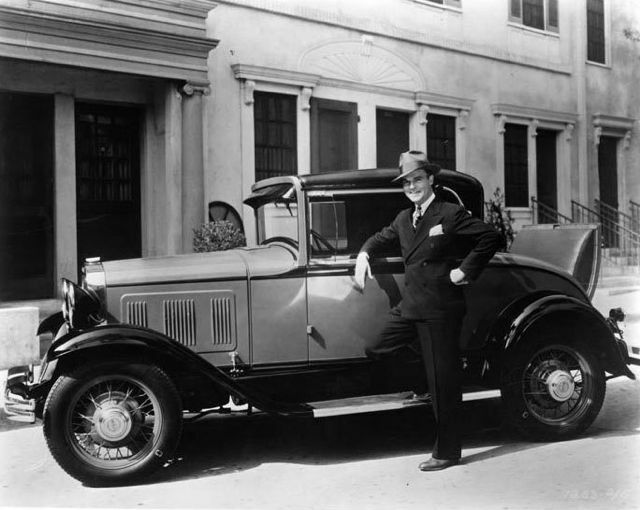 Neil Hamilton with his Willys-Overland-Eight-Coupe. Hamilton had a long and distinguished Hollywood career. 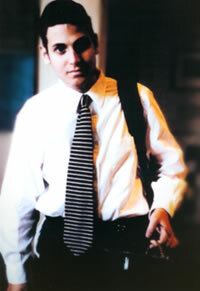 He started in silent films where he was usually cast as a handsome leading man. But Hamilton is, no doubt, best remembered as Police Commissioner Gordon in the Batman TV series. Hamilton appeared in all 120 episodes of the popular series. A girl, a bathing suit, and Detroit steel. This is classic Americana. MM with a 1952 Pontiac. 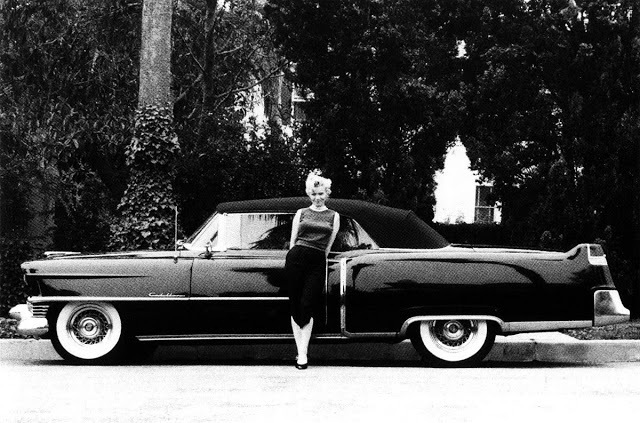 Two years later Marilyn chooses a more refined costume, and 1954 Cadillac. 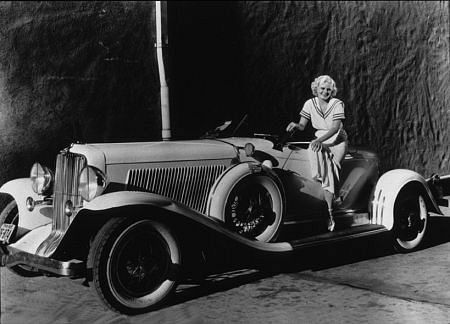 Lillian Harvey poses with an unidentified automobile that has, what must be, the weirdest front bumper we have ever seen. To the first person who, in the comments section, identifies the car, we’ll send a gift of the fashion forward Seraphic Secret baseball cap. 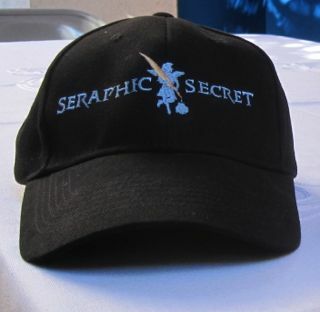 The official Seraphic Secret baseball cap. If you wear this puppy in Hollywood, you will be assaulted by a mob of tolerant liberals. Nice dust cover you’ve got up for a prize. I want one. Next contest I’ll get one. The car in the last picture looks like a Texas oil man’s ride of the 30’s. Neil Hamilton played Tarzan’s competition for Jane in the first two Weissmuller movies, “Tarzan the Ape Man” (1932) and “Tarzan and His Mate” (1934). He was also in “Brewster’s Millions” (1945). An underappreciated character actor — except around here. Neil Hamilton was a nondescript leading man. Leading man does not mean star, it goes to dramatic type. 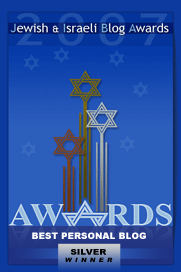 Leading Lady, Ingenue , Juvenile, Comic, Character actor or actress. 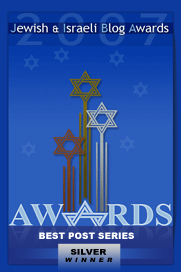 These are classic designations used, for example, in the SAG directory to aid casting. In Hamilton’s case, he aged and drank his way from modest success to oblivion before making a comeback on Batman in support. A very dull guy on screen. I want a hat. But then, I’d have to go to Hollywood in order to achieve the desired antiphon. And, apropos of nothing – When “300, the Hangover” comes out, could you please enlighten the rest of us “flies on the wall” as to what the cast of characters at your next production meeting have to say about it? As you did so brilliantly with “300.” Although, I suspect that your inner dialogue (wait – you actually said it, didn’t you…) might be a bit different this time around. 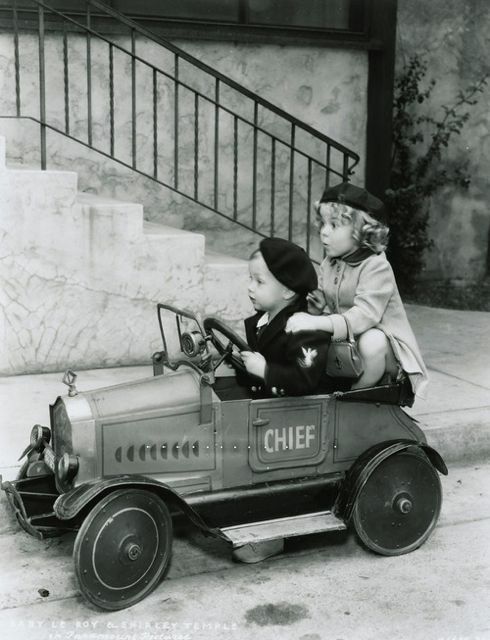 Hitchcock liked trains in his movies because the action was restricted in a small place. For a mother managing three small children, a train is in some ways a better choice than a car, since they can move around. Then again, you can’t make stops to get some air. I’ll always remember an Amtrak train trip I took from Chicago to NYC about thirty years ago. It was supposed to take about 16 hours; it took about 24. But I did it for the fun of it, so I didn’t much care. So. 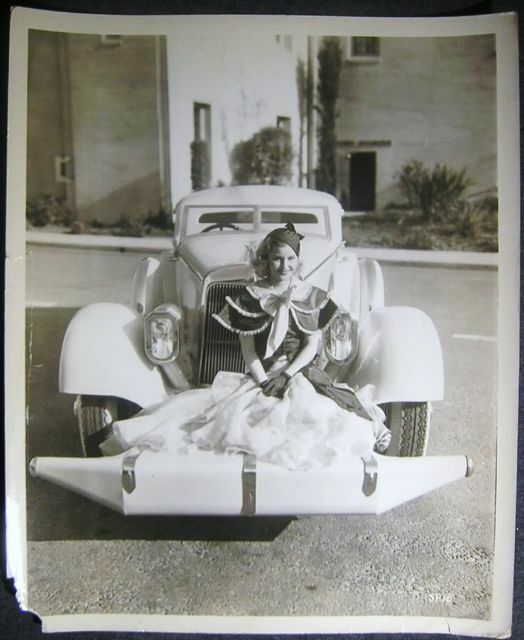 What do I get for identifying the 1933 Auburn Boat Tail Speedster accompanying Miss Harlow? You get a Seraphic Secret cap! It appears to be a publicity still from “My Lips Betray” starring Lilian Harvey and El Brendel as the chauffeur, but he’s cut out of this photo. Their guess is a Hispano-Suiza too, but I disagree. I stand corrected. He is not in your photo, but the end of the bumper is shown, so he wasn’t cropped out. It’s a separate photo. Look at the shape of the headlights. Might Lillian’s car be this one? [the private automobile] takes you from exactly where you are to precisely where you want to go, whenever you want, in comfort, relative safety, and total privacy — at a hell of a lot less money per passenger mile than any BART or Metro system. Look it up: I’m right.